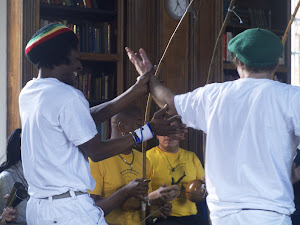 Following the brilliant Roda we has last month we will be holding the Memorias da Ginigbirra Rod again this Wednesday with FICA London (http://ficalondon.org/) in Stockwell. To remind us all of the theme of the roda. Please see below beautiful video of Mestre Pastinha . Note that due to the Bank Holiday there is no class on Monday (26th) this week.